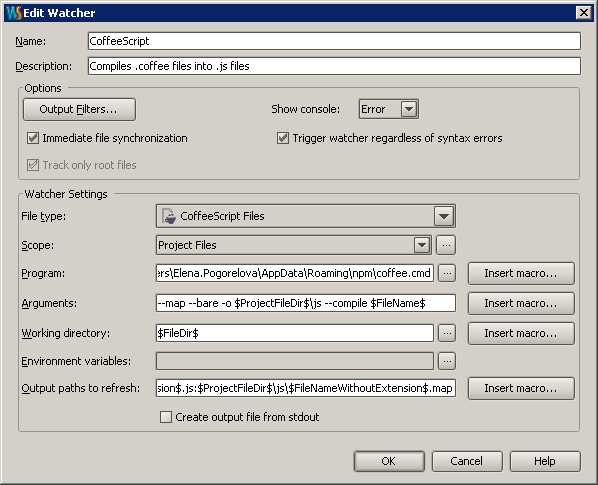 All seems fine, I created a coffeescript file, added a watcher to it which creates and updates the corresponding js file. And to enable the bare option, should I just run coffee --bare from the mac command line ? Or should I recompile it ?